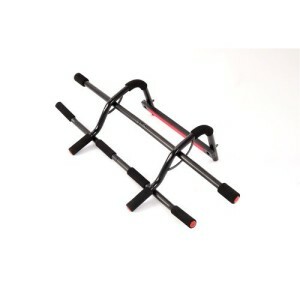 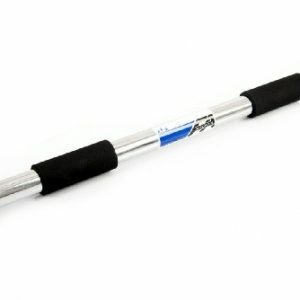 The Schildkrot Fitness pull up bar has a solid steel construction that can withstand loads of up to 120kg (264.6lbs). 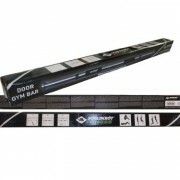 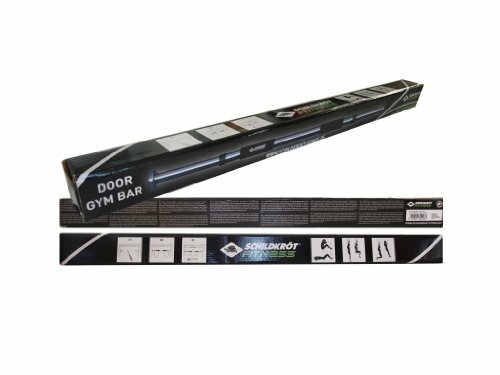 The bar is suitable for chin ups and fits in every door frame from 25″ to 38″ (63cm to 96cm). 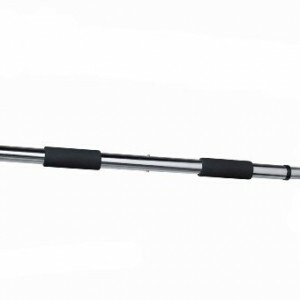 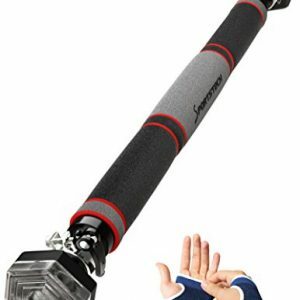 It weighs 2kg (4.4lbs) and is equipped with anti-slip PU foam handles to ensure comfortable and safe workouts.